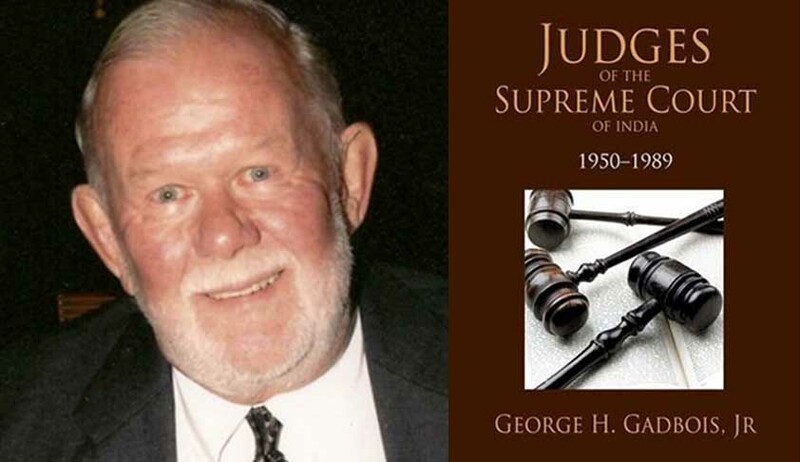 George H. Gadbois Jr., the preeminent scholar of India’s judiciary and Professor Emeritus of Political Science at the University of Kentucky, passed away last night at his home in Lexington, Kentucky. He was 80. Born near Boston, George left home at 17 to serve the U.S. army in Taiwan. As a returning GI, he studied political science at Duke where he focused on Asia, India in particular. His early work examined the Supreme Court’s record on civil liberties. His soon-to-be published thesis was on the Court’s early history. For many decades, Gadbois did pioneering quantitative work on voting patterns and litigation in India. He capped his career with his magnum opus, Judges of the Supreme Court of India: 1950-1989. Based on extensive interviews, it is a collection of biographical essays on 93 men who served on the nation’s highest court. George had a special affection for India, and was a passionate believer in its Constitution and system of courts and checks and balances. In his free time, George was an avid golfer and had three holes-in-one. A member of his college golf team, during his senior year his record was perfect – he lost every match. But he improved considerably on the Delhi Golf Course where he spent many hours playing with Chief Justice Sikri whom he adored. After he retired to his “colony home” in Lexington, George enjoyed growing vegetables and sharing the produce with friends. He is survived by his wife, Judith Papania, five children, his brother and two grandchildren. This Article is first published in Law And Other Things. The Original links is here.